Madani Younis is stepping down as artistic director of the Bush Theatre to become creative director of the Southbank Centre. He will take up his new post in January next year. 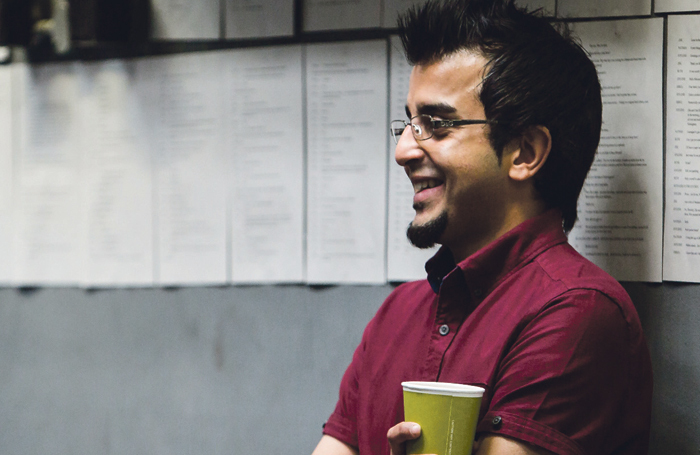 Younis joins the Southbank Centre having been at the Bush Theatre since 2012 . As creative director of the Southbank Centre – a newly created role – he will be work with Hayward Gallery director Ralph Rugoff and director of music, Gillian Moore, to create “collaborations and cross-commissioned work”. Younis said he was “thrilled” to be joining the Southbank Centre, adding he would be developing “cross-artform collaborations” and helping to bring “world-class art to audiences old and new”. Younis effectively replaces Jude Kelly, who left the Southbank Centre as artistic director earlier this year . Southbank Centre chief executive Elaine Bedell said Younis would “bring a new energy and vision” to the organisation. “We want to provide bold, diverse and ambitious artistic programming here, and Madani’s arrival signals that we are entering an exciting new era,” she added. She said the organisation now had an “unrivalled and outstanding senior artistic director in place”. The Bush Theatre said Younis’ tenure had “pushed the boundaries of the company’s physical space” and had tripled the audience capacity of the venue, as well as bringing “greater diversity of both creative talent and audiences” through its doors. During his tenure he has brought productions including Arinze Kene’s Misty  to the theatre, and Cush Jumbo’s Josephine and I.
Younis also oversaw the second phase of the theatre’s £4.3 million  capital redevelopment project. He said his time at the Bush had been one of his “proudest achievements to date”. “The Bush invested in a vision that celebrated not just the best of theatre but the best of our country’s inherent culture. The result was a more reflective community of artists and a breadth of new audiences that represent the diversity of the city around us,” he said. Last year, Younis was appointed to the Mayor of London’s cultural leadership board, to advise Sadiq Khan on the issues facing the creative industries in London.